Goldwin is helping with the Junior Sailing program of the Hopetown Sailing Club. He taught junior sailing in Michigan for about ten years and has always enjoyed working with kids. 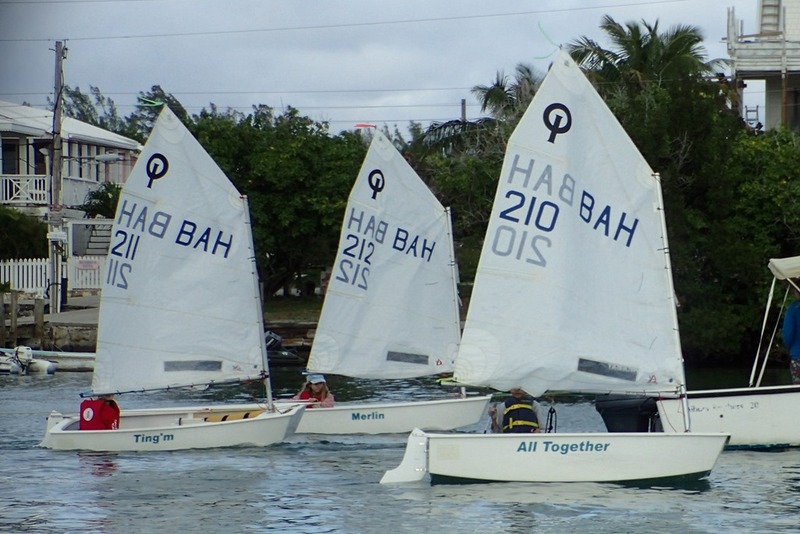 The HTSC has sponsored and encouraged young sailors since the 1960’s; many of the current sailing icons of Hopetown learned in this great program. Every Saturday morning, the older kids take out 470’s, two to a boat. Younger kids sail in Opti’s. 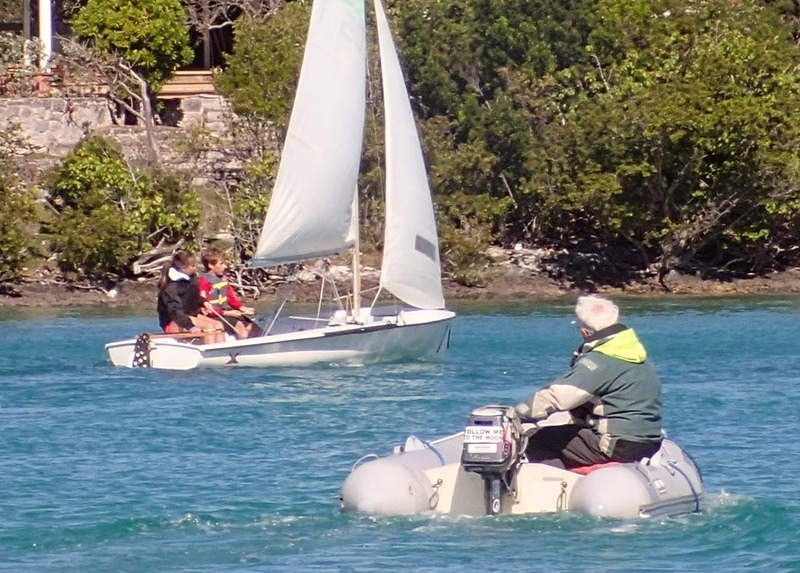 Goldwin runs a chase boat – our dinghy. He follows the boats, rescues kids who fall out – which has happened, provides coaching to help them learn, and generally makes sure all the kids who go out come back. Last Saturday, there was one capsizing, one swamping, and one rig failure – the starboard shroud broke at the deck fitting. The wind was 15-18 from the west and the boats were flying. The kids have lots of fun, work hard – and scream a lot. They are fearless; they love the water and love to sail. Goldwin has fun as well. 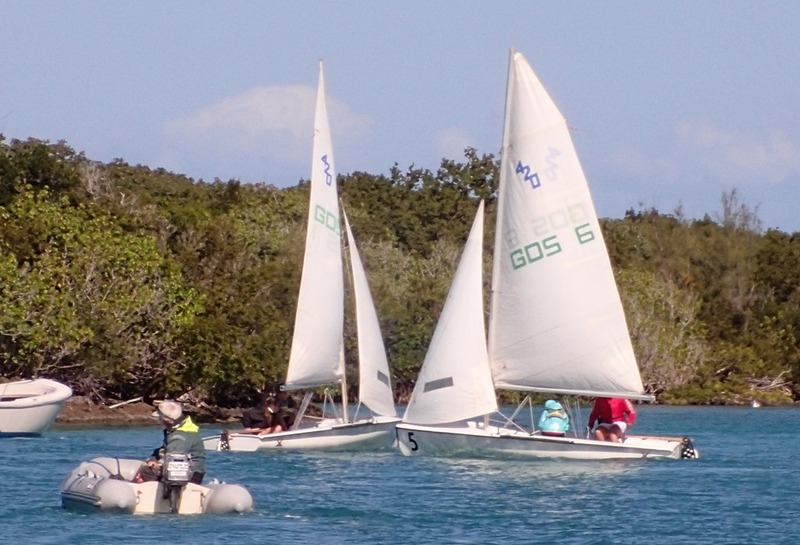 He gets to know the local kids, zoom his dinghy around the Sea of Abaco, and pass on his love of sailing. Perfect. What a great deal for the local kids to have the opportunity to work with Goldy. Very cool for both sides as he clearly loves it also! Nsn….love all your updates and stories! Keep enjoying!